You’re about to see a killer food service resume example—one that would get you any job you want in the food industry. Better yet, you’re going to learn how to write such food service resume yourself. Every time you see a great job opening in the food industry, there are thousands of others looking at the same posting. Hundreds of them are going to apply. Some might have more experience than you do. Others—more varied skills sets. But you are going to beat them. Food service resume samples better than 9 out of 10 other resumes. How to write a food service resume even if you have no experience. Tips and examples of how to put skills and achievements on a food service worker resume. How to describe your experience on a resume for food service positions to get any job you want. 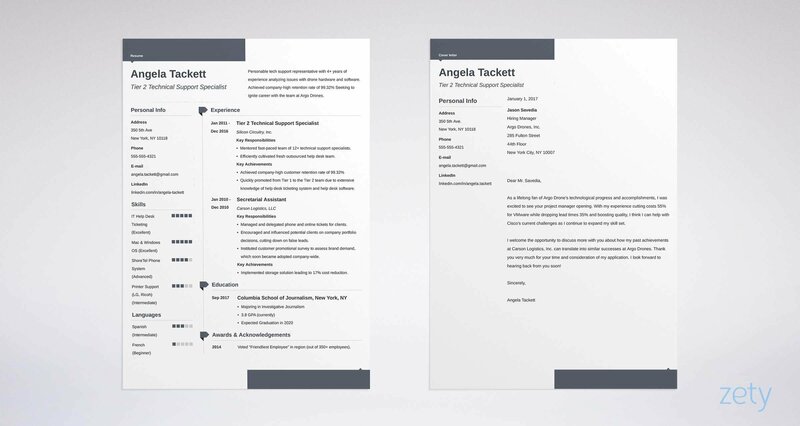 Here's a food service resume template made with our online resume builder tool. Looking for a more specific food service resume guide? Here’s a list of our comprehensive, profession-specific resume guides for the food service industry. If your profession is on the list, click on the link and get dedicated examples and advice! If you just want to see general food service resume examples and tips, read on! You’ll get loads of samples you can copy straight to your resume. What is the Best Food Service Resume Format? On average, every food industry resume that’s sent out gets just 6 seconds of the recruiter’s attention. That’s not enough to read the whole thing. Make it easy to find the most relevant details on your resume for food industry positions. Choose the elegant reverse chronological resume format. Recruiters are familiar with it so they’ll know where to look for what they need. Plus, it lets you showcase the peak of your career—your current or most recent job. Here’s what to include in a reverse-chronological food service resume format, from top to bottom. Pro Tip: Once you’re done writing your professional resume for food service industry, save it in PDF. This way, you’ll keep your resume layout intact. Just remember to double-check with the food server job description if the restaurant accepts PDFs. If not—send your resume in DOC. How to Write a Food Service Resume Objective or Summary? Remember those 6 seconds of a recruiter’s attention an average resume gets? To begin with, put a carefully phrased food service resume objective or resume summary at the very top. Use a food server resume summary if you’ve got relevant experience. Give an outline of your career and highlight your best achievements. Writing a food service resume with no experience to list? Go for a resume objective. Explain how the skills you’ve developed so far will help you do well in your prospective role. Focus your serving resume objective or summary only on your employer’s benefits, not what you want out of the job. Make an offer. Have a look at these food service resume examples to get the picture. Let’s start with resume objectives. I am a high school senior eager to start my first job. I don’t have experience in a regular restaurant yet, but I am enthusiastic and highly motivated. I look forward to joining your team to improve my serving skills. Friendly and responsible high school senior with 5+ years serving experience for a school canteen. Obtained highest grades in two different Home Ec classes (100%). Seeking to jumpstart my career by helping the La Pancia Piena team grow and achieve their goals. The first one basically says “I want a job cause I want to learn from you.” That’s not what the hiring manager expects from a top hire. This one’s definitely getting a callback! 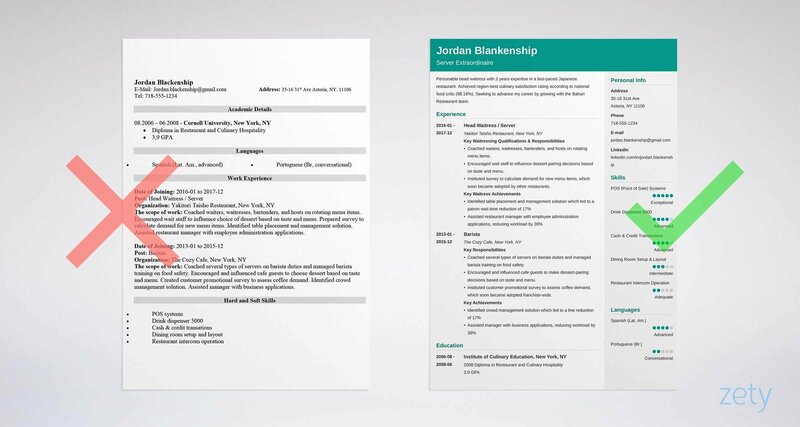 Now, take a look at two very different waitress resume summaries. Fine dining server with four years experience waiting tables and serving large parties. Because it’s as generic as it gets. Doesn’t include any specifics and promises no benefits. Personable head waitress with 4+ years expertise in a fast-paced Italian restaurant. Achieved region-best culinary satisfaction rating according to national food critic (98.16%). Seeking to help the Bahari Restaurant team further improve their customer happiness scores. This food service resume summary would make Gordon Ramsay and Jamie Oliver fight over this candidate. Pro Tip: In every resume summary or objective for food service positions, address the restaurant by name and indicate the position you’re targeting. This means you can’t spam out a generic food server resume to everyone around. And that’s the point. Personalize every resume you send for miraculous results! 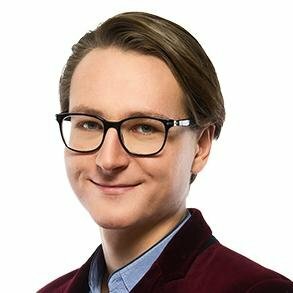 Engaging restaurant manager with 7 years of experience. Seeking to help Legal Seafoods in reaching their goal of food service industry excellence as the new Restaurant Executive Manager. Managed 25 cooks and waitstaff in fast-paced, high-end restaurant. Handled inventory, vendors, and hiring. Reduced turnover by 25%. Personalized, detailed, specific, and quantified—all check! Writing the perfect food service resume objective or summary can be tricky. But it won’t be for you. Check out these two handy guides to learn everything about it: How to Write a Resume Summary and How to Write a Resume Objective. How to Describe Your Food Service Experience on a Resume? Here it comes, the work experience section—the main course, the meat and potatoes of your resume, if you will. Let’s serve it as top sirloin with savoyarde! How to describe your past serving jobs on a resume? List your position name, the name and location of the restaurant where you worked and your tenure dates. Underneath each position, add up to 5 bullet points describing your duties and, more importantly, your achievements. Quantify whenever possible. Don’t say you “significantly increased customer satisfaction scores.” Say how much exactly. Numbers pop! Hungry for some real-life food service resume examples? Created 15 themed cocktails over the course of a 10 year tenure. Maintained an extensive knowledge of New York hotel services and local activities. Helped increase TripAdvisor customer review scores by 14%. Key achievement: Curated various regional wines, resulting in a 15% increase in annual sales. Now, have a look at a restaurant resume sample. Key achievement: Maintained a 98% on-time delivery score even during busy times. Yup, that’s the way the cookie crumbles! A recent study has shown that a staggering 8 out of 10 restaurant owners and 9 out of 10 restaurant managers started out on their food service career in entry level positions. That even if you’re applying for a managerial or executive food service position, don’t neglect past entry-level restaurant jobs. You’ve got to know all the tricks of the trade to manage a food service business. Employers are well aware of that! How to Pepper Skills onto a Food Server Resume? Your skills are what’s of most value to employers. But that doesn’t mean your resume should feature a list of 10+ skills listed in whatever order you see fit. When talking about your skills on a food service resume, relevance is key. Check how many of these are there in your spreadsheet. Quite a few? Great. That’s your skills list. Pro Tip: Don’t put skills only in the skills section. Sprinkle them throughout your work experience and refer to one or two of your most important skills in your food service resume objective or summary. Need some inspiration for your skills list? Check out these skills for a food service resume examples. Is Your Education Section Underseasoned? It Might Be. Usually, listing education on a food service resume is the easiest part. That’s what you have to do if you’ve got relevant food service experience. Things get a bit tricky if you’re writing a food service resume with no experience to show off. In that case, you should elaborate on your education a bit more. Try to identify extracurricular activities or educational achievements that show you’ve got what it takes to work in the food service industry. Worked as prep cook facilitating food safety for four major school events. Avid football team member, all four years. That’s the way to do it. Even if the candidate doesn’t have much experience, her education section shows the sense of purpose she has in pursuing her career. Pro Tip: If you finished a semester or two of college, put it on your food server resume. You paid for those credits, and they belong to you. You can also add a coursework description to showcase relevant knowledge or skills. For working in the food service industry, basic math or communication classes would shine! How to Spice up Your Food Service Resume with Additional Sections? People lie. Especially about themselves. What does it have to do with your food service job application? That most of your competition will lie on their resumes. Easy—restaurant owners know that so they read everything with a pinch of salt. You can make employers actually believe your resume. You can turn this pinch of salt into a dash of safrane. Add an extra section that highlights your verifiable wins. Show employers that you’re the real deal. Need some ideas? Here you go. Pro Tip: Got none of the above? Get some! Take an online class or two. Volunteer for a couple of days. Start blogging! It won’t take much time or effort but will definitely make a fine addition to every food industry resume! How about a Food Service Cover Letter? You might have heard that nobody reads cover letters in 2018. In fact, almost half of recruiters won’t open your resume if there’s no cover letter attached. Not really a risk you’d like to take, right? Truth is, a food service cover letter is often expected even if the job description doesn’t explicitly state so. And it can be used to your massive advantage. If you attach a cover letter to your resume, you can explain why you’re interested in pursuing a food industry career. You can give your past experience more context and tell a story. Believe me—hiring managers, just like any other group of people, love stories much more than raw data sheets. It doesn’t matter if you’re writing a waiter or waitress resume, fine dining server resume or any other type of a restaurant resume. Including a cover letter in your application doubles your chances of getting hired. Can’t argue with the stats, can you? Pro Tip: Once you send your food service resume and a cover letter—follow up. A nudge by phone, email, or in person can prove your follow-through ability! Open your food server resume with a resume objective or a resume summary. Say what makes you a great candidate and make an offer. In the work experience section, focus on your achievements, not just responsibilities. Use action verbs and numbers. Match your skills list with the skills required in the job posting. Include additional sections that prove your value as a candidate. Personalize every resume you send. Use the name of the restaurant you’re applying to and tailor the contents of your resume to the requirements in the job description. All check? Good luck with the interview! A complete guide to writing a resume for a server. +20 real examples will show you how to describe your experience and write a professional resume. Use our server resume sample and a template. Read more!